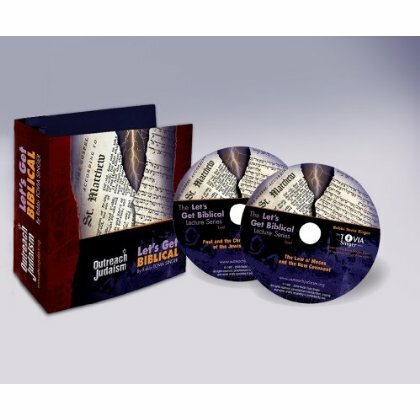 We saw in Volume 1 of Let’s Get Biblical! how Christendom—beginning in the earliest epistles of the New Testament—deliberately altered the Jewish Scriptures in order to make these sacred Hebrew texts appear Christological. What else did Christians invent on the way to making Christianity into the religion it became? Christians find it perplexing that Jews don’t accept Jesus as the messiah because it seems so obvious to them when they routinely refer to Jesus as “Christ” and “the messiah.” Almost all Christians think that the prophets of the Jewish Bible frequently made predictions that the messiah would be the son of God, who would be born to a virgin in Bethlehem, be a great miracle worker, endure a brutal crucifixion, and rise from the dead. As a result of this widespread belief, many Christians are astounded that Jews refuse to believe in their religion. They wonder how Jews could possibly fail to accept their assertion that Jesus is the messiah. Can’t they see the overwhelming evidence to support this claim? Are they just being stubborn? Is there some sort of veil over their hearts and eyes? How can a nation reputed to be the most intelligent people on earth be so hardheaded? After all, God chose the Jews to be the recipients and protectors of His sacred oracles. They received their instructions directly from the prophets, and are the only nation on earth that can read and comprehend the Jewish Scriptures in its original language. Can such a nation be so clueless? In essence, Christians are dumbfounded. They don’t understand why the vast majority of Jews are unimpressed with their assertion that the central role of the messiah was to die for the sins of the world. Christians wonder: Why don’t passages in the ‘Old Testament’ such as Isaiah 53 and Psalm 22 convince the Jews that the messiah was to suffer and die for the sins of mankind? Don’t these and other texts in the Hebrew Scriptures provide irrefutable proof that Jesus is the promised Jewish messiah? After all, these chapters appear prominently in their own Bible. There is a clear answer to this age-old question: The messiah is not mentioned in any of these passages. In fact, these texts do not refer to the messiah but to someone or something else. In Volume 2 of this series, Rabbi Tovia Singer continues to probe this eye-opening and thought-provoking study of the Bible in order to answer two fundamental questions: Who invented Christianity, and how did they accomplish this task?